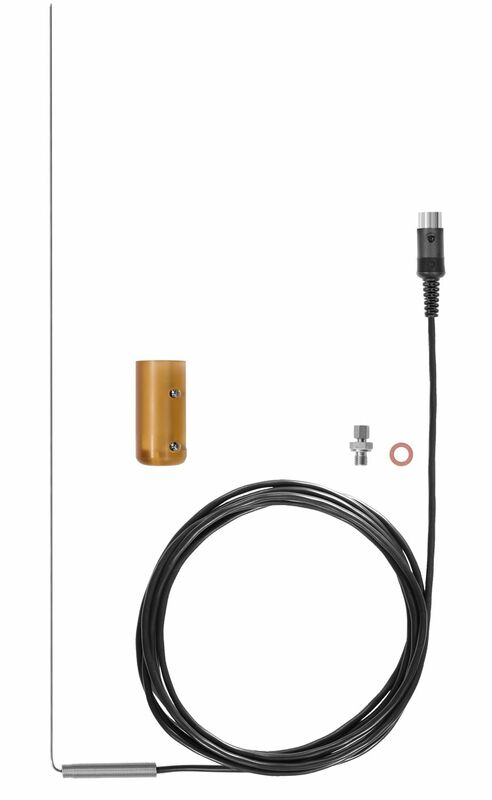 The dual wall clearance probe (in combination with the appropriate measuring instrument) enables easy and reliable measurement of O2 supply air in the dual wall clearance. 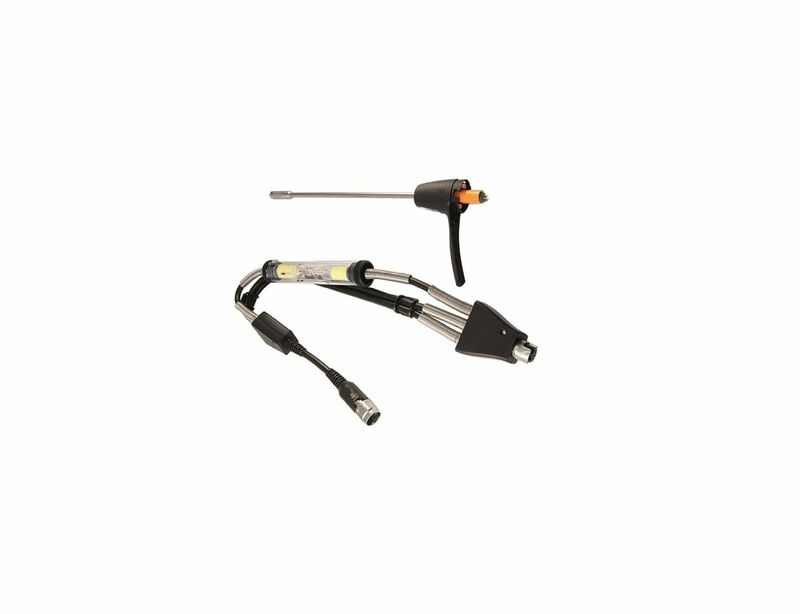 In addition, it can also be used to check the dual wall clearance for leaks and blockages. 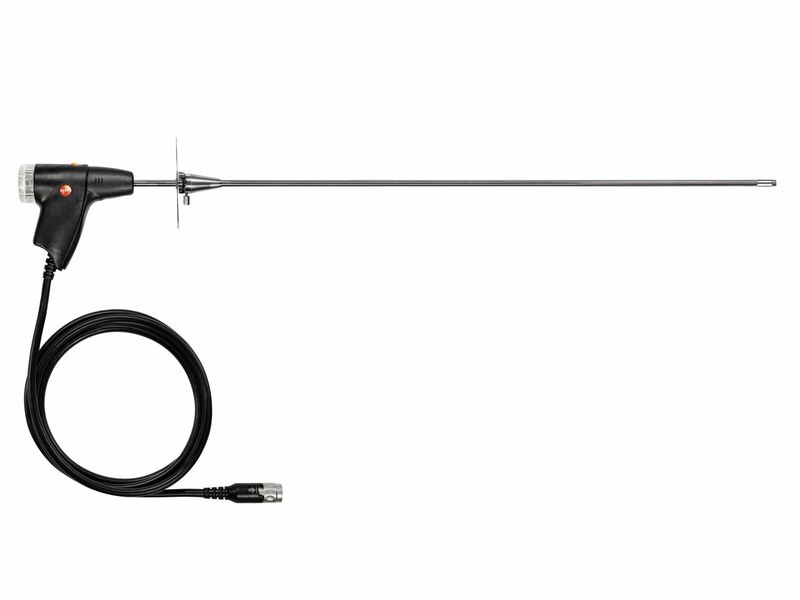 TÜV-tested modular flue gas probe with 180 mm long probe shaft including dirt filter and thermocouple. 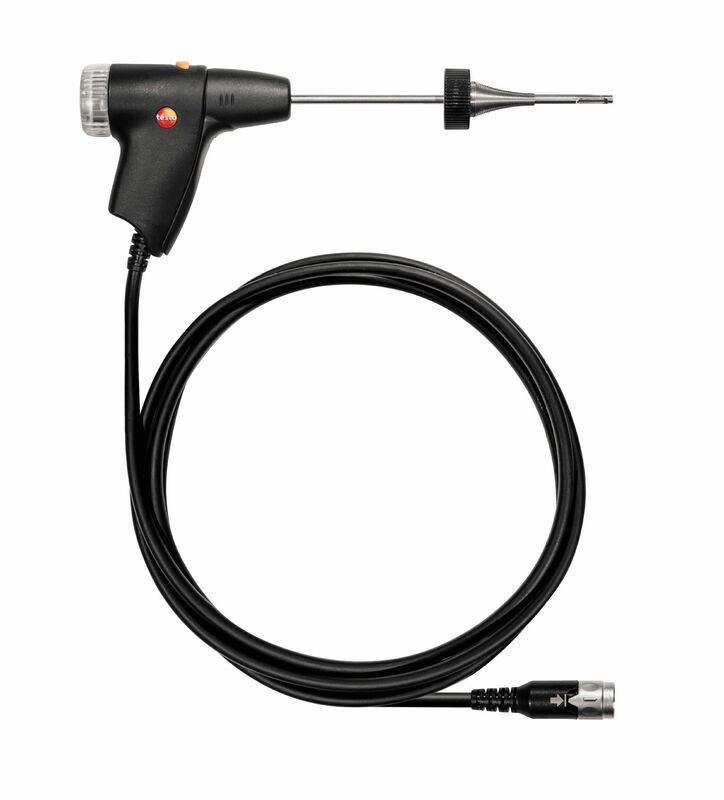 The quick-change click system enables quick, flexible replacement of the probe shaft. 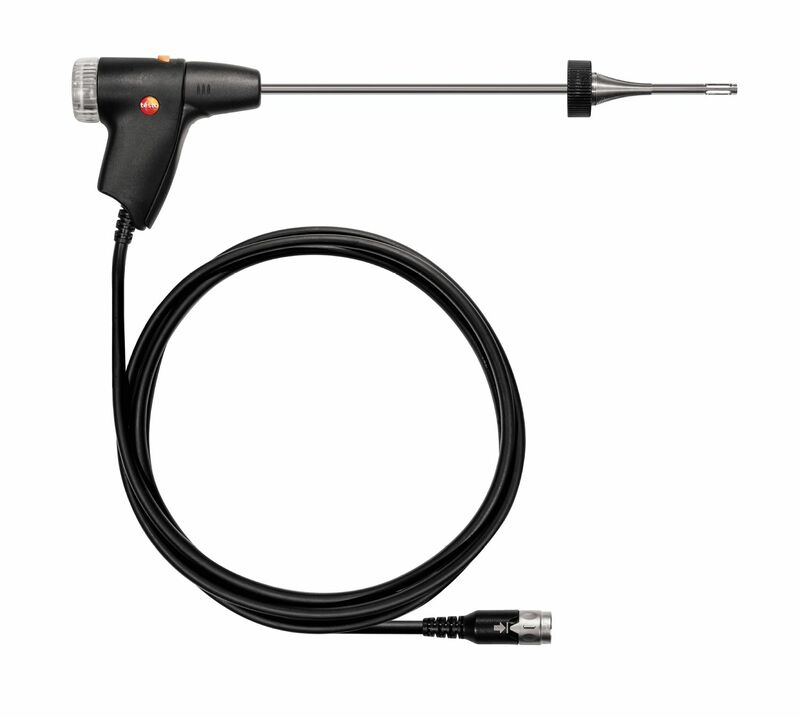 Compact flue gas probe with 300 mm long probe shaft including particle filter and thermocouple. 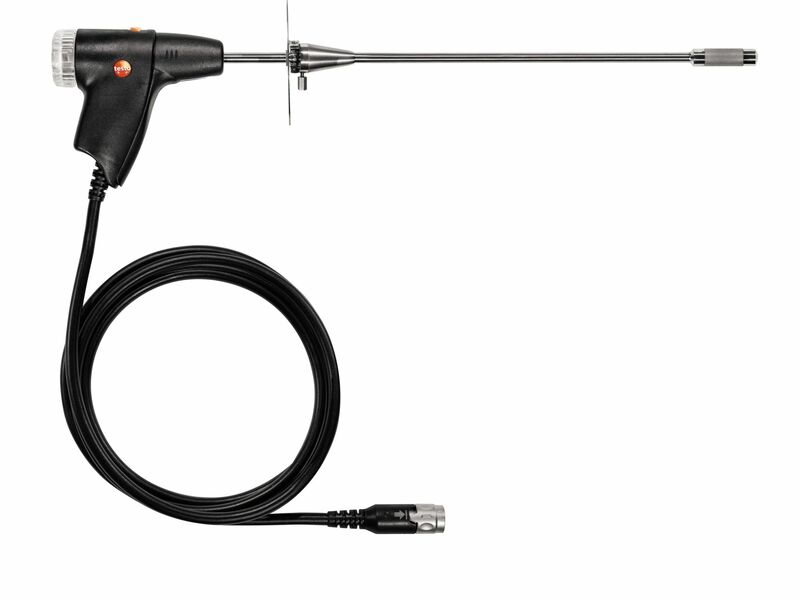 Bayonet lock ensures quick, easy connection to the measuring instrument. 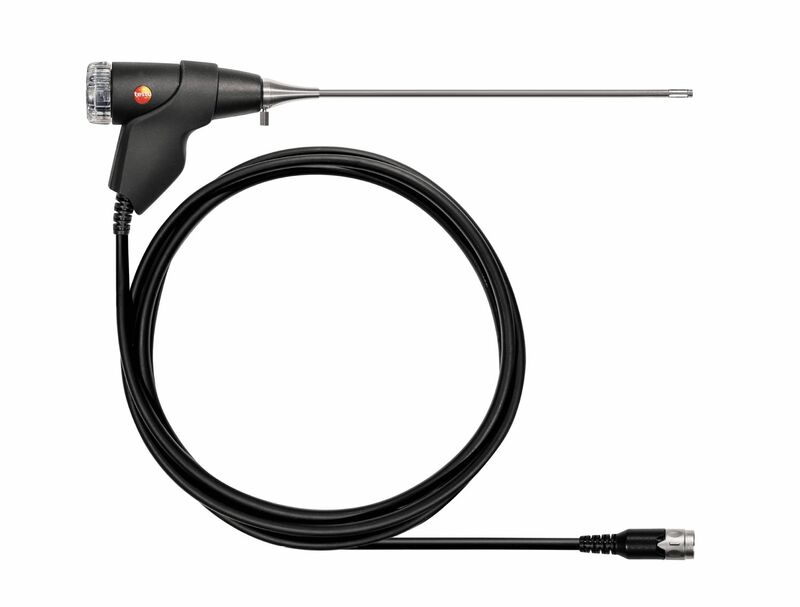 Compact basic flue gas probe with 180 mm long probe shaft, integrated thermocouple and dirt filter. 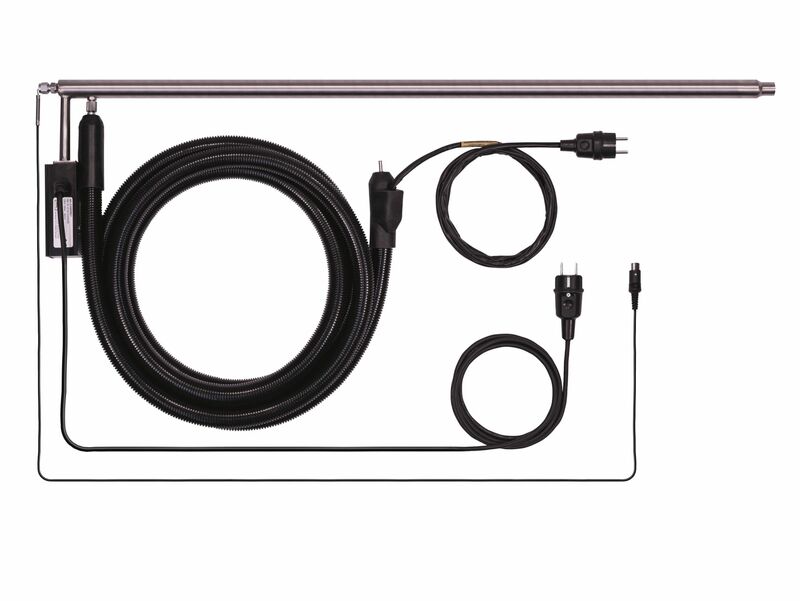 The practical kit, including modular probe shaft (length 290 mm, Ø 8 mm), solid fuel adapter, cone and gas sampling hose with integrated condensate trap, means you are ideally equipped for precise solid fuel measurement. 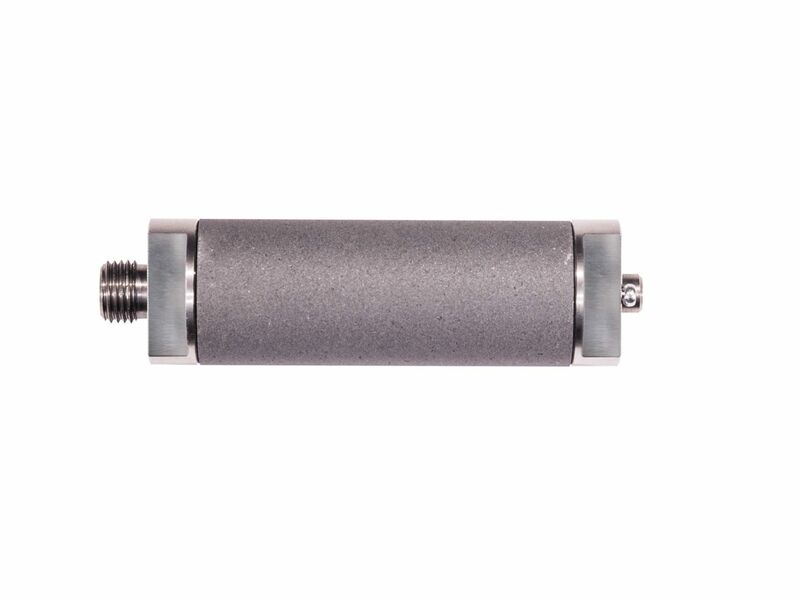 For measurements in dust-laden flue gas: the filter enables you to prevent the probe shaft and sampling hose from becoming clogged with dust or particles and from getting damaged by dust. 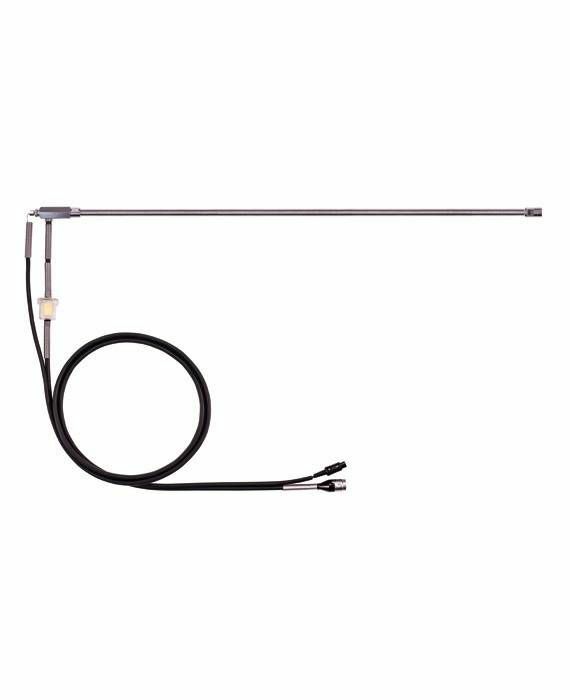 Modular flue gas probe with 300 mm long probe shaft, including dirt filter and thermocouple. 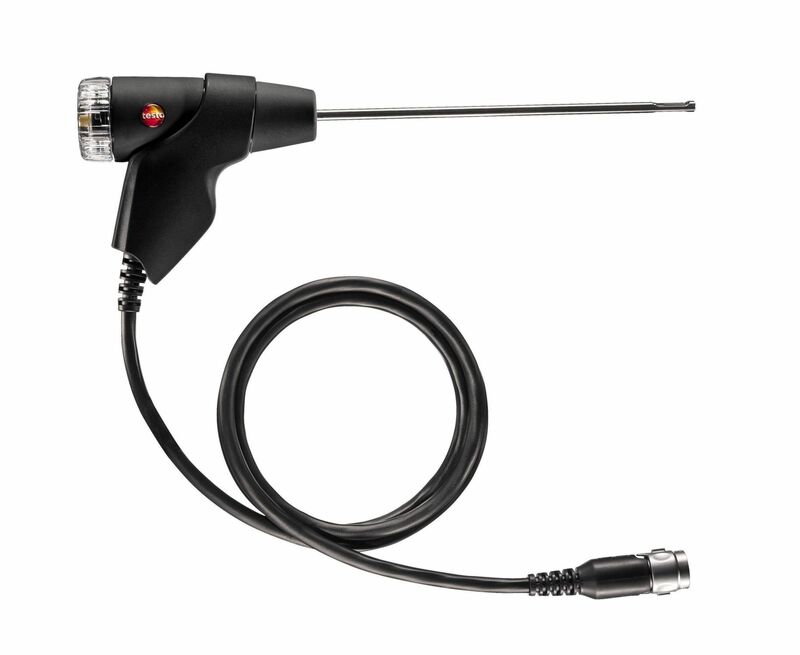 The quick-change click system enables quick, flexible replacement of the probe shaft. 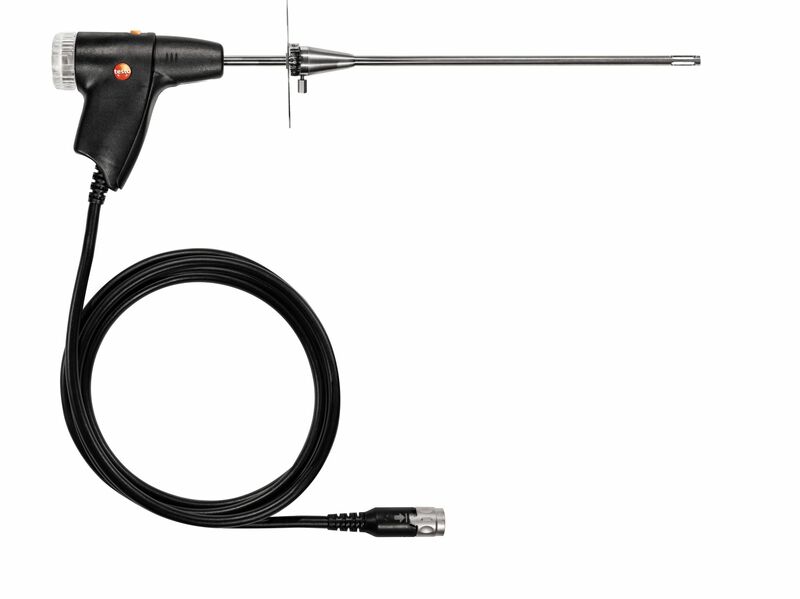 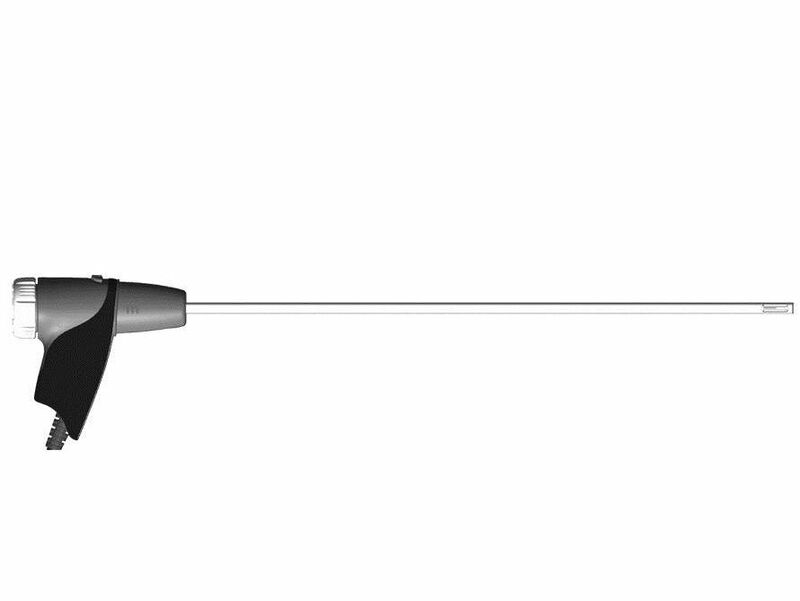 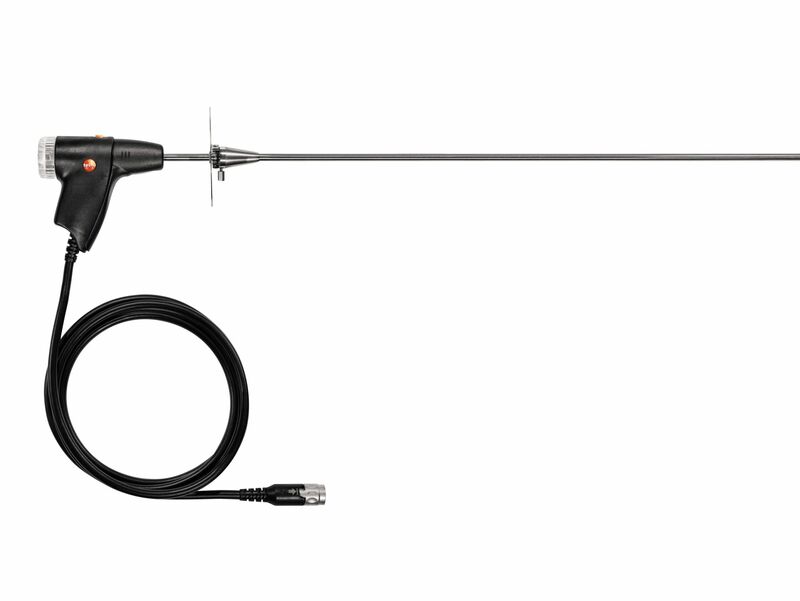 Modular flue gas probe with 180 mm long probe shaft, including dirt filter and thermocouple. 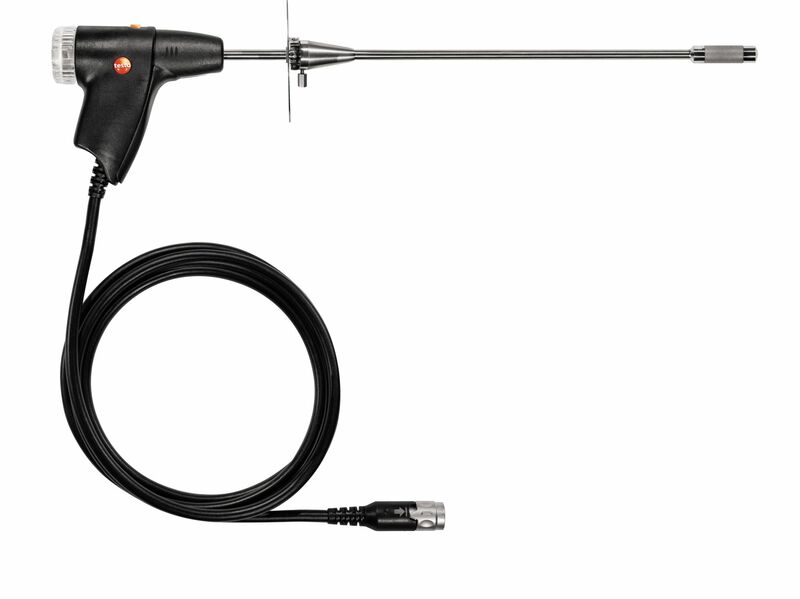 The quick-change click system enables quick, flexible replacement of the probe shaft.